I know food photography rules. Don’t take pictures head on, don’t get to close to your food, and good photographs have good composition. So, explain to me what is it so wrong with taking a close up, head on picture of a stack of delicious homemade Peanut Butter Oatmeal Cookies. These cookies are packed full of peanut butter flavor. They are heartier since they have oatmeal in them, and they are soft and chewy. The recipe was adapted from The Mennonite Treasury of Recipes cookbook. Drop with dining tablespoon (approximately 3 inches apart) on prepared cookie sheets. Bake for 10-12 minutes until cookies are set, but not hard. Makes 1.5 dozen large cookies. Oh, great combo of two favorite cookies. And you are right about the rules, sometimes breaking them brings great results! Who need rules – lol! 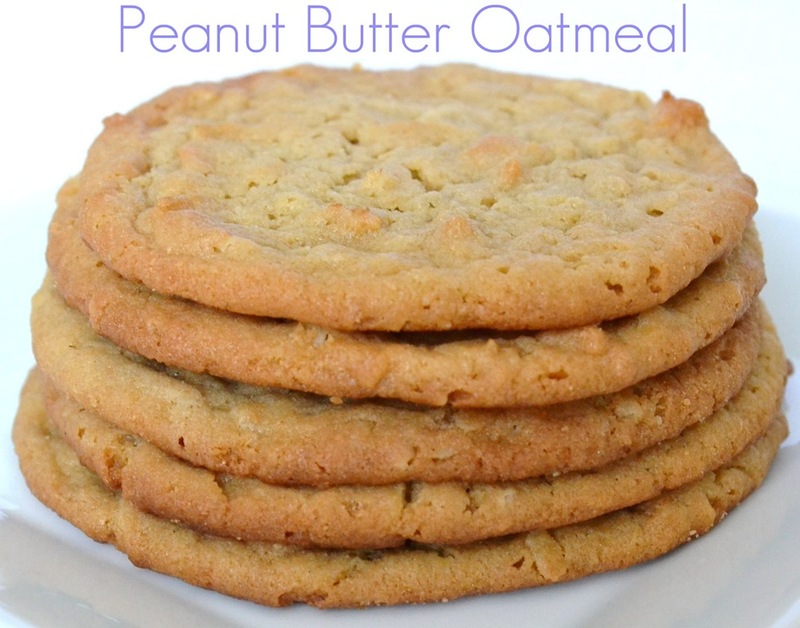 the picture of those peanut-butter oatmeal cookies makes me rich out and grab some! They look delicious Eileen! That picture is DELICIOUS. It looks like I can just grab one off my screen 🙂 Peanut butter and oatmeal is such a yummy combo, these seriously look amazing! This picture makes me want these cookies more than the ingredients do, but they do sound delicious, but I love the picture! These are some of my favorite cookies! Love your recipe. I’ll have to give it a go soon! I like close up pictures of food, even if it is wrong! I’m so glad I’ve found some folks that agree with me! I especially like close ups when I’m trying to decide if I want to make the recipe or not 🙂 Have a great Mother’s Day Erin!